During the month, and all year long, DBHIDS’ Office of Addiction Services (OAS) aim to raise awareness about problem gambling. The goal of this campaign is to educate the public and healthcare professionals about the warning signs of problem gambling and promote the availability of help and hope both locally and nationally. Problem gambling includes all gambling behavior patterns that compromise, disrupt or damage personal, family or vocational pursuits. Problem gambling is not just a financial problem but also an emotional problem. The real problem is that they have an uncontrollable obsession with gambling. OAS encourages everyone to have the discussion about problem gambling. Most adults have gambled at some point of their life or know someone who has, therefore it is important to be aware of services and treatment options to prevent gambling addiction. What many adults may not be aware of is that youth gambling is rising at an alarming rate. In many states, including Pennsylvania, 80% of adolescents between the ages of 12-17 report have gambled over the past 12 months. Problem gambling is a public health issue affecting all aspects of physical, social and mental health. It can, and does, affect families, work performance and general well-being. It is important to know the signs of a gambling problem, that treatment is available, and that it works. As we recognize PGAM, we also encourage you to check out one of our latest community murals, Fables of Fortune, one of the newest addition in the DBHIDS’ Porch Light series. 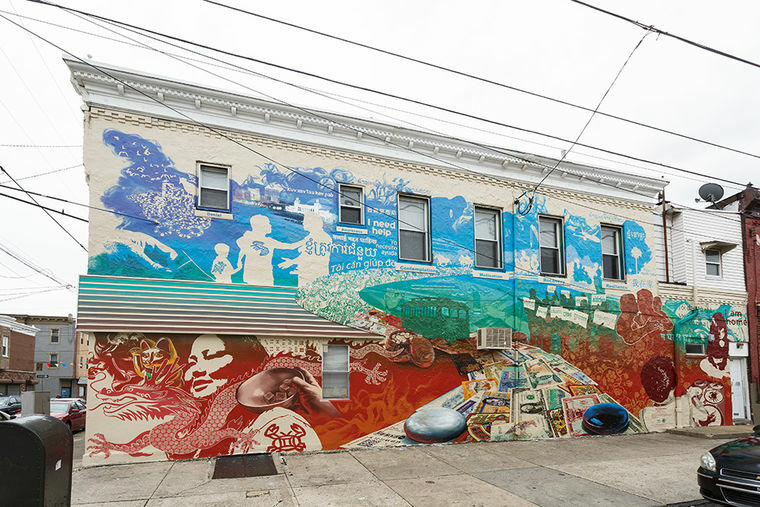 Done by local Philadelphia artist, Eric Okdeh, the visual message behind the mural shows a path of recognition of gambling addiction and the decision to overcome problem gambling for individuals and their families. TRANSFORMATION: See it. Believe it.